Not all negativity in the workplace is a bad sign. Common sense says employees who describe their workplace in negative terms are the ones that are more likely to leave it, but new research shows this isn’t the case. The study identified some forms of negativity are benign and can be tolerated, whereas others are loud and clear warning signs in terms of employee retention. Study participants were asked to describe their past experiences with the organisations they had worked for, both good and bad. Three forms of negativity predicted that employees will have a greater intention to leave an organisation one year later: disappointment, strong negativity (such as anger or ridicule) and indirect negativity (like focusing on the negatives in a positive story). Other forms of negativity, like complaints, entitlement and even despair, did not. The method used in this study was adapted from a method that successfully predicts divorce. Reports on this method show that it predicts divorce with more than 80 per cent, and sometimes more than 90 per cent accuracy. Anyone who ever tried to systematically predict human behaviour knows this kind of success is very rare. 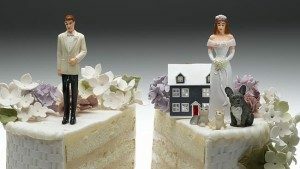 After more than three decades of research, the divorce prediction method is so refined, that its developer says that he can predict a divorce of a couple based on listening to the first three minutes of an argument. Participants in this turnover study were first interviewed, and their attitudes (like job satisfaction, commitment, intentions to quit, engagement, and burnout) were measured. A year later, their attitudes were measured again, and another year after that, the study looked at who left and who stayed. The study found that employees who left their jobs didn’t use the following coping mechanisms: they didn’t balance the good with the bad, they didn’t genuinely accept that bad things are just part of life, they didn’t avoid lengthy discussions of the negatives and they didn’t express hope. Employment and marriage are not exactly the same (for most people anyway), but they are not that different either. In both cases, the parties establish mutually loyal and trusting relationships over time, based on the exchange of resources. These resources can be material (like money or goods) or social (like love, status, or information). Both relationships operate based on a balance between the attractiveness of the relationship (with the job or spouse), the attractiveness of alternatives, and barriers for leaving. Barriers can be legal, cultural, financial, or practical – either in a marriage or a job. The predictions of employees who leave organisations in this research are very similar to predictors of divorce. Past research has shown that when there are forms of negativity in a marriage, like disappointment, withdrawal, hostility, or contempt, you know the couple is at a high risk of divorce. Couples who not only accept their struggles but even celebrate them remain happily married, and so do couples who successfully avoid conflict. Research on divorce also demonstrated another way to know if a marriage is in trouble – looking at the emotions the couple displays when they fight. Couples stay happily married if they show at least five times more positive emotions than they show negative ones when they fight. There was similar evidence in the study on employees, but with a lower ratio: employees who showed at least two-to-one positive to negative emotions when they talked about their past in the organisation generally had better attitudes towards their work and their organisation. One major difference between the way things work in marriage and with employment is empathy. When couples express empathy for one another, that is generally a good sign, but when employees use empathy to cope with things they do not like at their work, this actually predicts worse job outcomes. Employees who empathise to cope with negative feelings about their jobs were less satisfied with their job and less committed to it a year later. This could be because employees’ empathy means that they have accepted that this problem will not change, and they are willing to move on – but not out of anger. This research basically shows that employment and marriage work in similar ways. What this means for employers is that they can use the same tools that save a marriage to increase their employee retention rates. Basically, the research shows that for a relationship to survive, there needs to be a balance of positive and negative emotions. If you want to keep your employees, you need to either reduce the negative emotions, or increase positive emotions they experience at work. What creates positive or negative emotions varies from one employee to another, so it’s important to know what works for yours. Knowing this, one thing to do is to avoid destructive negative behaviours, like contempt, hostility and withdrawal. This can be pretty hard to do and impossible to enforce. Positive psychology, however, teaches us that the best way to fight dark emotions is by increasing the light. In the same way, relationships research found an effective way for increasing positive emotions: gratitude. People who expressed gratitude towards others felt that their relationship with the others were stronger. When people actually felt this gratitude, and not only expressed it, their spouses echo this gratitude with greater satisfaction. So a good step forward to increasing employee retention is to start saying “thank you,” and mean it. Irit Alony is a researcher at University of Wollongong. Harry and Meghan: What are the chances this royal couple will one day divorce?